The Larson Electronics LM-15-3S-FM-EW-400LB Telescoping Light Mast provides a safe and effective way for operators to quickly deploy lights, security cameras and other equipment to elevations of up to fifteen feet. 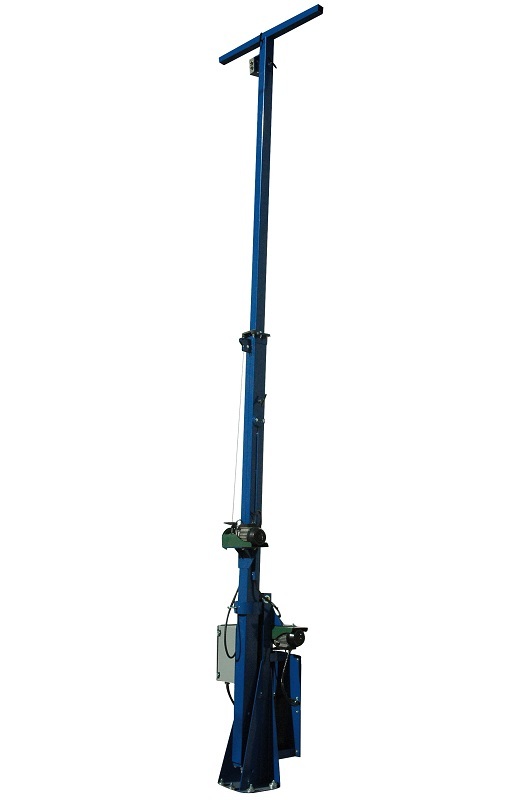 This electric light tower comes with a weight capacity of 400 lbs, features a rotating boom that allows for 360° of rotation, and a removable mast head for storing mounted equipment when not in use. 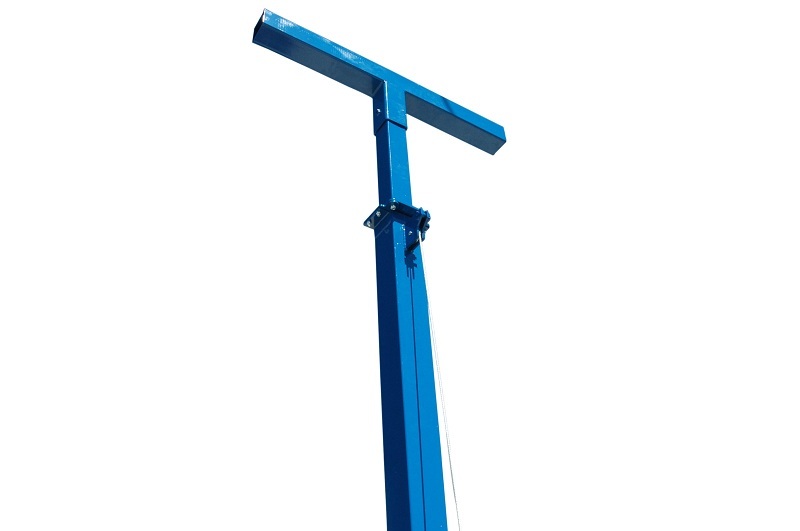 This telescoping three stage steel light mast from Larson Electronics is designed to allow operators to quickly and safely deploy lighting, cameras, and other electrical equipment in locations where this equipment must be elevated to heights up to 15` for effective coverage. The light boom can be extended to 15` for maximum area coverage and collapsed to 7.5` for applications where a smaller footprint is required. 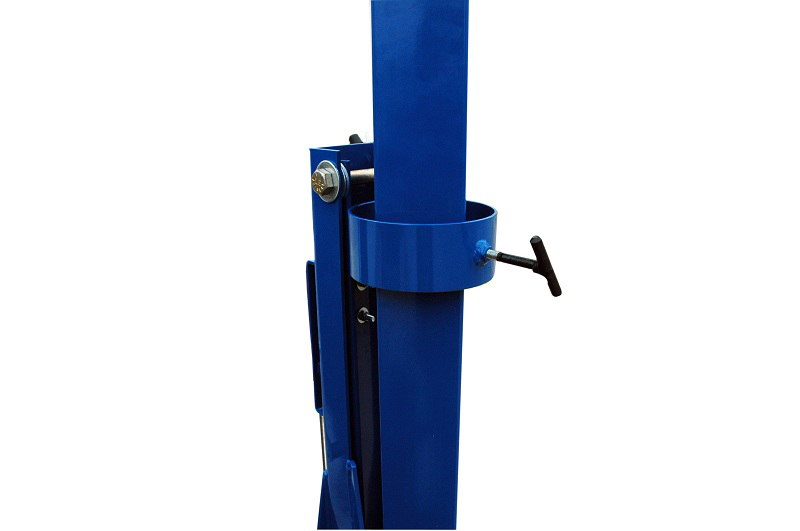 This model is offered with a galvanized or powder coated blue finish for durability. The tower is constructed of square steel tubing with a lower section 70.25" in length and 4" by 4" by 1/8" thick, middle section 73.75" in length and 3" by 3" by 1/8" thick, and an upper section 78.75" and 2" by 2" by 1/8" thick. Each section has a 2` minimum overlap. The mast is extended to its full height using an included single electric winch with 3/16" galvanized cable. Voltage options for electric operation include 120V or 240V. 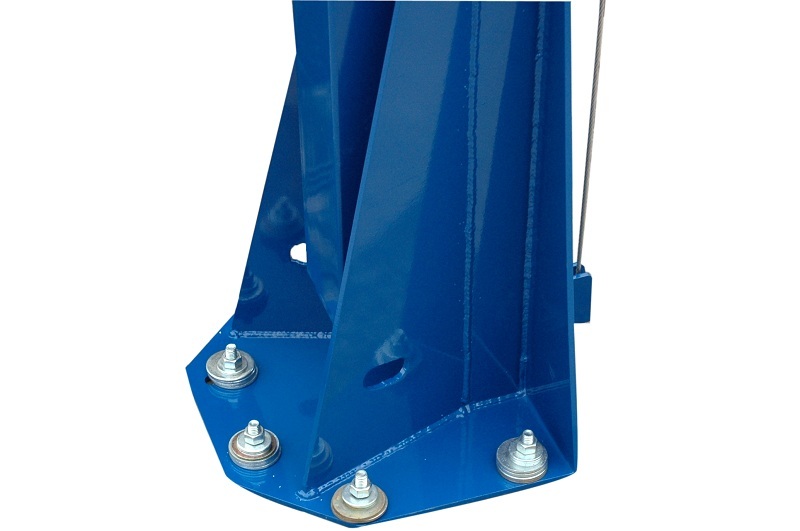 The fixed-mount light mast can be secured to trailers or other stable surfaces via a 15" by 13" by 1/4" thick mounting base-plate which has been drilled to accept six 9/16" anchor bolts. A 36" wide and 2" by 2" by 1/8" thick mounting plate is attached to the upper section of the mast which provides a strong and stable platform for light fixtures and equipment. The LM family of telescoping towers feature a proprietary mast guidance system, which provides increased stability during high winds. When lowered to 7.5`, the mast can withstand winds up to 55 mph. When elevated to its full upright position, the mast can be rotated a full 360°. By loosening the T-handle, operators can rotate the mast with ease in either direction. The mast can be positioned in one of four different directions, and locked back in place by re-tightening the T-handle. The mast itself spins freely, and can typically be rotated with a single hand. 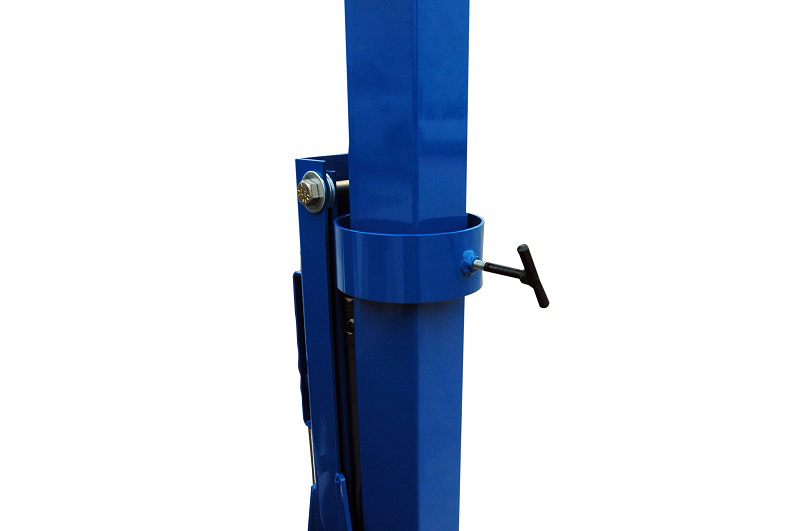 This light tower weighs approximately 160 lbs and can easily support and lift 400 lbs fixtures. The entire tower assembly is shipped via common freight carrier and when shipped measures approximately 8` long, 4` wide, 5` tall and weighs approximately 160+ lbs. Larson Electronics can custom tailor these units to the customer`s requirements with longer sections and larger mounting plates. 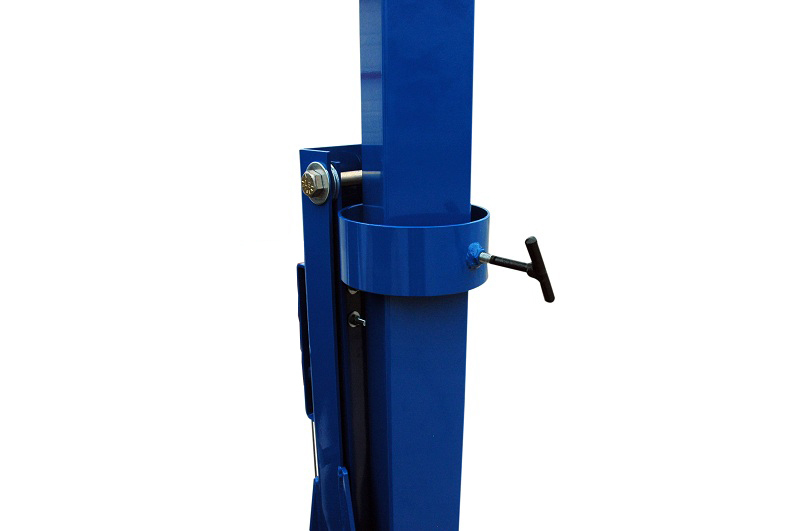 We also offer a choice of either the manual 1,000 lbs hand winch included standard or optional electric winch.